These resin golf figure trophies are ideal to reward individual player achievement. Crafted in resin with a silver and gold colour finish, they feature a detailed figure of a male golfer clenching his fist in celebration. The figure is mounted on a semi-circular plinth with an engraving plate, and is offered with text and/or logo engraving options. 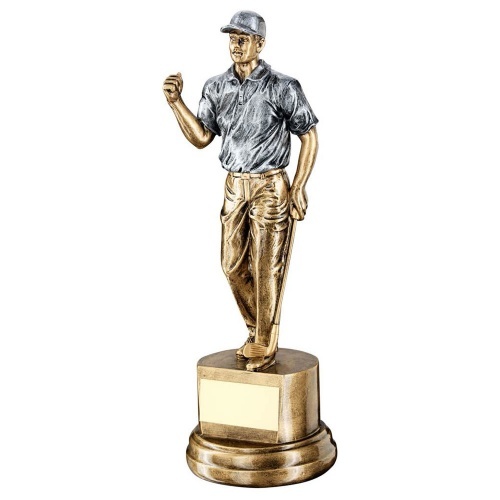 These men's golf player trophies are available in three sizes up to 12.25in / 311mm tall.